***Chevy Suburban LT 4WD*** 5.3L, 8 Passenger, Sun, Entertainment and Destinations Pkg, Loaded!! 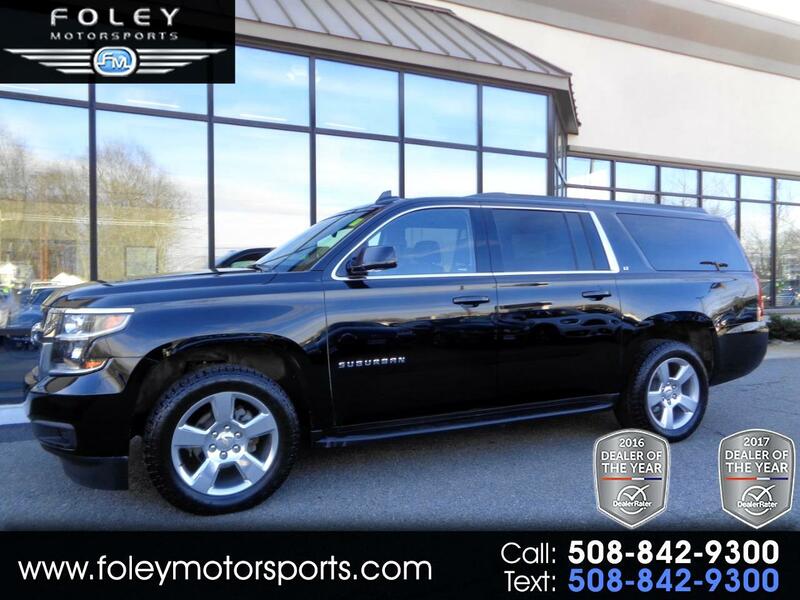 2018 Chevrolet Suburban LT 4WD Sport Utility... Black on Black Leather Seating... 355hp 5.3L V8 OHV 16V Engine... Chevy Bumper to Bumper Warranty Coverage... 8 Passenger... EXCELLENT Condition... LOADED... Sun, Entertainment and Destinations Package including a Power Sunroof, Navigation System and Rear-seat Entertainment System... Enhanced Driver Alert Package with Forward Collision Alert with Automatic Low-speed Braking, Vibrating Safety-alert Driver Seat, Automatic High Beams, Lane Keeping Assist and Power-adjustable Pedals... 20'' Wheels... Mid Row Bench Seat and 3rd ROW Fold Down Seating... BOSE Premium Sound... HEATED Front Seats... Rear View CAMERA... ON-Star... PARK Assist... RUNNING Boards... TOW Package and much more!! Please feel free to contact our experienced sales team with ANY questions or to schedule a test drive. Buy with confidence from the area LEADER in Pre-Owned LUXURY. Additional 5 Year/100K Extended Warranty Coverage Available. ALL of our vehicles are meticulously detailed and serviced by our factory trained certified technicians. Call or email us at sales@rjfoley.com **$0 Down** 100% financing available with great rates! Trades are always welcome. National and International shipping quotes are available.